Lithium side effects are more benign than many people think. Even low levels of lithium may be therapeutically sufficient. About fifteen percent of people taking lithium develop a thyroid deficiency, which can readily be corrected with thyroid hormone replacement. Diabetes insipidus, a hormone disorder characterized by thirst and heavy urination, can be minimized with amiloride. Creatinine increases may occur with long-term lithium use. These usually start after 30 years of taking the drug and tend not to progress to end-stage renal disease in people taking lithium, as they do in people taking anticonvulsants. Hyperparathyroidism (high levels of calcium) is rare and can be treated with surgery. Tremor can be treated with propranolol. Weight gain on lithium is usually minimal. 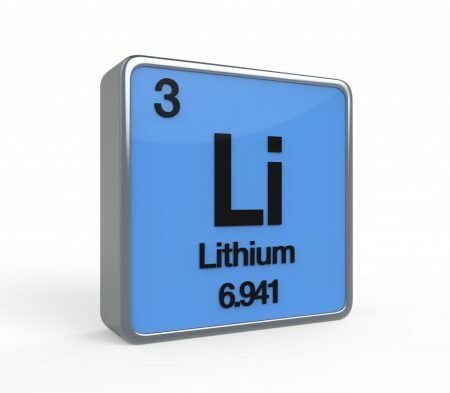 Research has found that some people are more likely to have a good response to lithium treatment than others. A family history of mood disorders, especially bipolar disorder, is one of the number one predictors. Lack of anxiety and substance abuse comorbidity also predict a better response to lithium. People who have euphoric manias respond better to lithium than the two-thirds of women and 40% of men who have dysphoric (anxious, irritable) manias. Those who have discrete mood episodes separated by well intervals in between are also more likely to respond well to lithium. The pattern of a person’s manias and depressions may also affect whether they respond well to lithium. Mania followed by depression and then a well interval (a pattern known as M-D-I) is associated with a better lithium response than depression followed by mania and then a well interval (D-M-I). Starting ongoing preventative treatment with lithium after fewer mood episodes predicts a better response than beginning later in the course of illness, after many episodes. It is notable that perhaps the majority of people with bipolar illness in the US do not fit this profile. For these patients, lithium would need to be augmented with an anticonvulsant drug, a mood stabilizer (lamotrigine, valproate, or carbamazepine), or an atypical antipsychotic. A 2013 article by Lars V. Kessing and colleagues in the British Journal of Psychiatry showed that after a first episode of mania, patients randomized to receive two years of comprehensive treatment involving medications, psychotherapy, psycho-education, and illness monitoring had fewer relapses over a period of six years than patients who received treatment as usual. That is, early excellent treatment can improve the long-term course of illness. At the 2016 meeting of the International Society of Bipolar Disorders, researcher Lakshmi Yatham emphasized the importance of starting ongoing preventative treatment after a first mania. Yatham and colleagues found that cognitive deficits associated with a first mania recover over the course of the next year, but only if the patient experiences no further episodes during this period. A 2017 study by Michael Berk and colleagues in the British Journal of Psychiatry found that when patients were randomized to one year of lithium or quetiapine following a first mania, both groups improved considerably, but had some residual symptoms. However, after the first six months, lithium brought about more improvement than quetiapine on all measures, including mania, depression, functioning, cognition, and brain imaging. Thus, preventive treatment should begin after a first manic episode, and use of lithium should definitely be considered. The recurrence of stressors, mood episodes, and bouts of substance use can snowball, making episodes, stressors, and substance use more likely to occur and to become more severe in the future. This process is called sensitization, and it drives illness progression. Unfortunately, sensitization is based on memory-like epigenetic changes to the shape of DNA that can have a lasting effect on gene transcription and vulnerability to illness, even for a patient’s offspring. This means limiting stress and substance abuse and using preventive medication to avoid episodes is not only important to recovery, but can also reduce the accumulation of adverse epigenetic marks on DNA. If substance abuse cannot be prevented, it should be treated using off label treatments if necessary, since there are no US Food and Drug Administration-approved treatments for the combination of substance abuse and bipolar disorder. Illness education should be paired with treatment at all stages of bipolar disorder (early, mid, and late). It can help patients better understand and monitor their illness and adhere to ongoing preventive treatment. Psychotherapy can also help prevent episodes, modulate stressors, and reduce the risk of suicide. It is also important to be alert to emerging symptoms in children at high risk for bipolar disorder due to their family history. Interventions involving lifestyle improvements (such as nutritious diet, regular exercise, and good sleep habits), psychosocial therapy, or medication may be needed. Early, effective treatment may prevent the onset of full-blown illness or lessen its severity.